This, of course, was the content I was delivering with passion and care, the project that would show me the culmination of several skills we had been hitting hard over the past month. My carefully designed handout, cutesy illustrations alongside student learning outcomes, and honed mini-lesson meant nothing to this particular student. He had doubts and a need to voice them. Embracing this inquiry can be difficult for teachers. Our lessons are frequently the result of years of training and experience, and to have our authority questioned can be frustrating. However, leaning into the question of relevance has been a beneficial practice for me overall as an instructor, as well as for my students and their journeys as scholars. As I have reflected on the question of relevance, I’ve come to realize the ways in which it can be a useful tool in the classroom. First, it demonstrates deep-level critical thinking skills. Answering it seriously shows a teacher’s willingness to respect and engage students’ thinking processes. Second, I often find that if I fully answer the question, students are encouraged to take further ownership over their own learning when they clearly see the connections between my classroom activities and their life outside of school. The strategy I use to answer “When am I ever going to use this?” is quite simple. I start by narrowing my activities and projects to the most essential skills. Then I tie an essential skill to an outside-the-room activity. While career-focused skills are helpful, I find that many students enjoy hearing about simple “adult skills” that are developed in my room. For example, I frequently utilize the Common Core standard on the use of text evidence. My prompt might be “Identify the main conflict in this novel and cite at least two pieces of evidence in your analysis.” Embracing relevance means that when I talk about the use of text evidence as a skill, I tie it to an activity that’s not connected to my English class. I might tell students that in order to win an argument with my parents or partner, I need to provide proof to convince them of the legitimacy of my point of view. And whenever I buy a new phone or car, I look for evidence that it’s worth the money. This, I tell them, is why we practice using and evaluating text evidence. If they don’t practice this skill now, they may lose arguments and money in the future. There are examples of this in every discipline. Geometry: Let’s say the assignment is to calculate the area of a triangle using a formula learned in class. An example of future relevance is that when a person is painting or redoing the siding of their home, they may need to find the area of the apex of the roof. Knowing the exact measurements will save them money and time. Social Studies: If the assignment is something like having students put a series of events from the American Revolution in order from most to least important and explain their reasoning, a teacher can point out that when they vote they should be able to evaluate which issues they feel deserve the most attention, as a way to know which candidate will best represent them. Music: A teacher asks students to compose a short piece in F-major for their instrument using the following elements: staccato notes, a fermata, and three-quarter time. That’s analogous to a work situation in which a person is given limited resources and tasked with creating a presentation, product, or solution that’s not only useful but creative. Biology: The assignment is to sequence and sort a series of organisms into the correct kingdom, phylum, class, order, family, genus, and species. Sequencing and categorizing are simple organizational skills that apply to everything from sorting laundry to keeping a tidy desk, from scheduling doctor’s appointments to preparing for meetings. 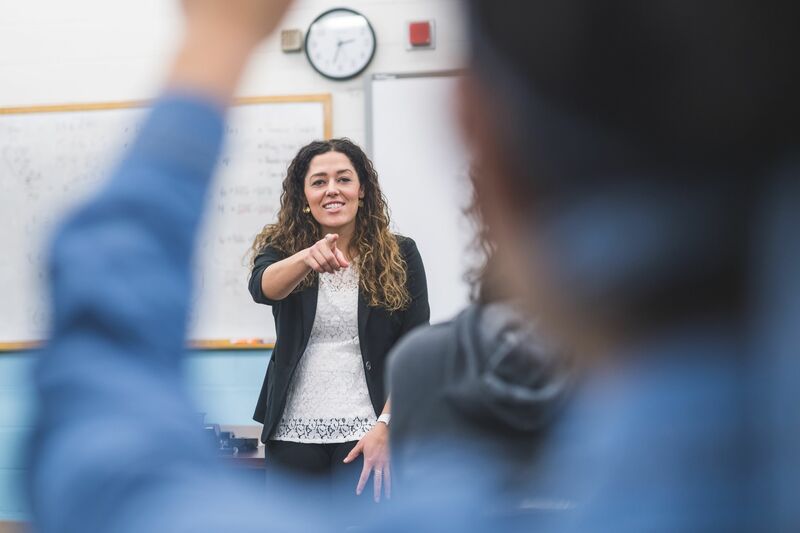 Ultimately, no matter the subject area, taking the relevance question seriously can result in deep and meaningful conversations with students about the value of the content. It’s frequently tempting to answer with a witty offhand remark, but by taking the inquiry to heart and showing students a path between the in-class activity and an out-of-class skill, we can increase their engagement and encourage them to take ownership over their learning and growth.